If you’re like us, you are a frequent shopper at PetSmart. We love browsing every department and discovering something new on each visit. 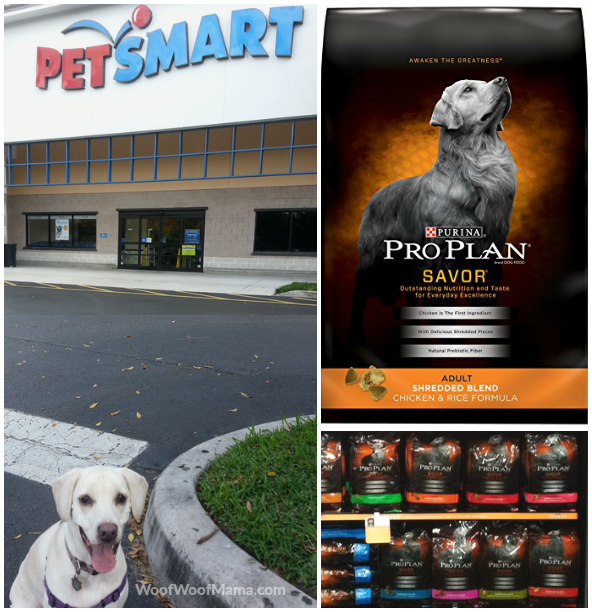 Next time you’re at your local PetSmart, be sure to stop by the pet food aisles and check out Purina Pro Plan® SAVOR® Shredded Blend with formulas featuring a combination of crunchy kibble and tender meaty shreds for a taste and texture your dog or cat will love. 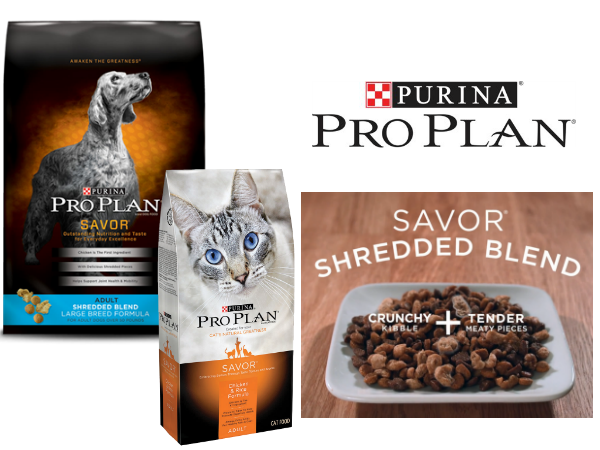 When you read the label, one of the important things you will notice is that the #1 ingredient in all Purina Pro Plan Shredded Blend adult dry food formulas is real meat. Always real chicken or salmon for cats, and real chicken, beef, lamb, or salmon for dogs. 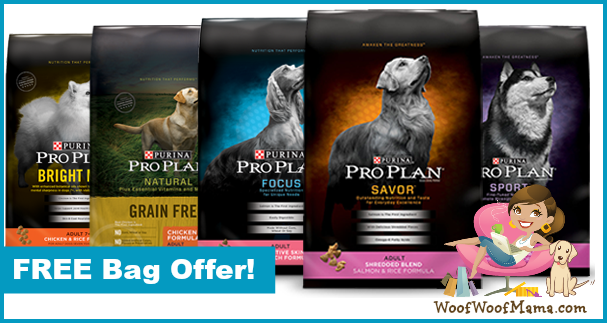 In addition to Shredded Blend dry food for dogs and cats, the Purina Pro Plan Savor line also includes wet food, treats and more to satisfy your dog or cat’s taste preferences. 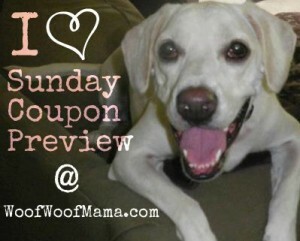 We think dog lovers will be especially interested in Savor Additions meal enhancements. Flavorful puree made with real, human-grade ingredients and packaged in a mess-free, easy to use resealable pouch. Your pooch bored with breakfast? Spice up their regular kibble by topping it with Oatmeal and Apple! For cats, there are 20+ different protein-rich wet entrees with accents of pasta, rice, cheese and vegetables. 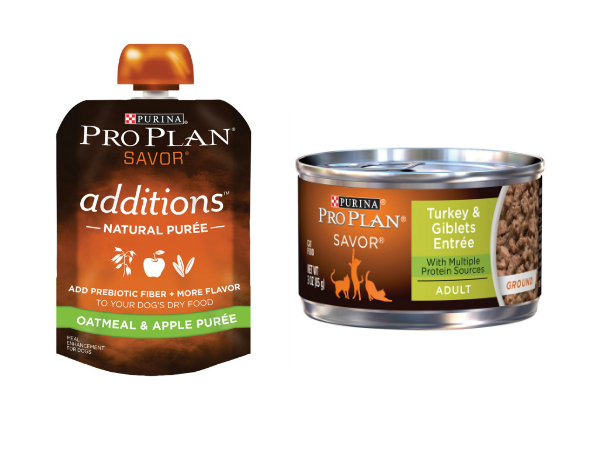 The Turkey & Giblets looks purrrfect for your cat’s special Thanksgiving meal! Find all this and more at your local PetSmart store. 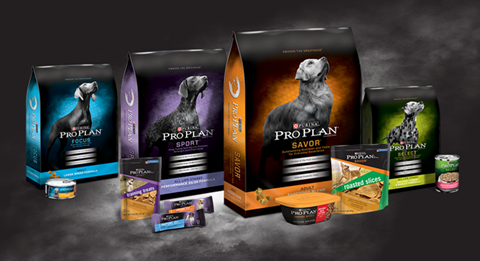 You can also shop for Pro Plan at PetSmart.com. 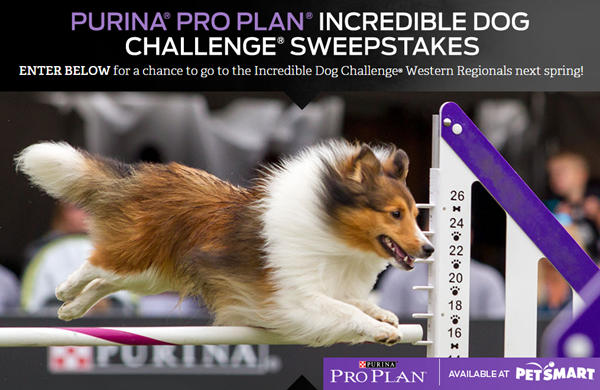 Pet parents, you already know your dog is great, but here’s a chance to boast a bit AND a chance to win free dog food, courtesy of Purina Pro Plan! 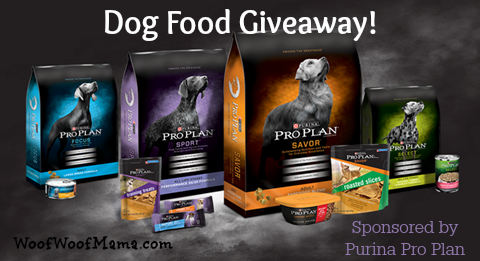 It’s a super fast and easy Flash Giveaway and I’ll be randomly selecting 3 winners to each receive a coupon for a free bag of Purina Pro Plan Dog Food ($17.99 value). Did your dog learn a new trick, tackle the stairs or (finally!) make friends with the cat? Show us what made your dog great in 2014 by sharing a photo on Twitter! Tweet by 11:59pm ET on 12/20 to be eligible to WIN! Giveaway is open to US residents age 18+ and is void where prohibited by law. Not affiliated with Twitter; sponsor is responsible for prize fulfillment. Want the chance to WIN even more? Enter the Incredible Dog Challenge Sweepstakes for a chance to WIN a Trip for 2 + $500 PetSmart Gift Card!